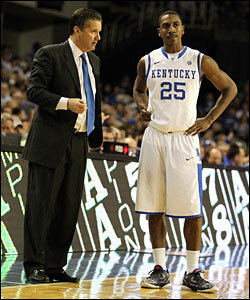 Citing that Teague that started all 40 games as point guard for a Kentucky team that fielded six players selected in this year’s NBA Draft en route to a 38-2 season and national championship, Forman added that his scouting staff has followed Teague since he played at Pike High School in Indianapolis. As a senior, he was one of five finalists for the Naismith Award for the National High School Player of the Year after averaging 22.7 points, 5.9 assists and 4.2 rebounds per game. And while Rose is virtually irreplaceable, Teague will provide the Bulls with some of the things which Rose excelled at doing. “He gives us another guy that can break defenses down, get into the paint, and make plays for himself and others,” said Forman. Bulls coach Tom Thibodeau agreed, calling Teague’s experience in big games an important factor. Throughout the Bulls’ predraft process, Forman stated that the intelligence that his staff gathered painted Teague as a very competitive player and a winner who comes from a high profile program—qualifications the Bulls have valued in recent drafts. “He’s got great speed and quickness, and we think, a very, very high ceiling,” Forman added of Teague, who he said tested among the best of the best at the NBA draft combine in Chicago two weeks ago. Both Forman and Thibodeau were also impressed with Teague’s improvement throughout his freshman season. In conversations between Bulls management and Kentucky coach John Calipari on Thursday, Calipari stressed Teague’s defensive improvements in particular. 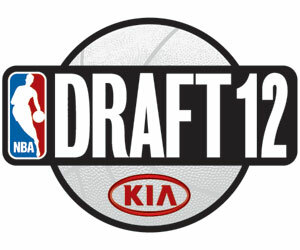 That being said, he’s still a 19-year old who is on the verge of making the substantial leap from college to the NBA.